A detective takes on a vengeful ex-con in London’s seedy underworld in this classic thriller by the New York Times–bestselling author of The Midnight Bell. 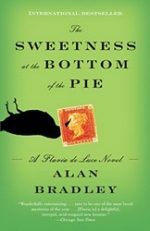 BONUS: This edition contains a The Sweetness at the Bottom of the Pie discussion guide and an excerpt from Alan Bradley’s The Weed That Strings the Hangman’s Bag. 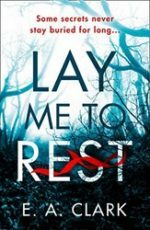 For Flavia, who is both appalled and delighted, life begins in earnest when murder comes to Buckshaw. It is the summer of 1950–and at the once-grand mansion of Buckshaw, young Flavia de Luce, an aspiring chemist with a passion for poison, is intrigued by a series of inexplicable events: A dead bird is found on the doorstep, a postage stamp bizarrely pinned to its beak. Then, hours later, Flavia finds a man lying in the cucumber patch and watches him as he takes his dying breath. 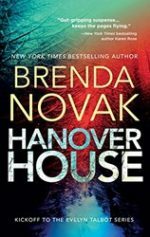 Welcome to Hanover House… After having been kidnapped, tortured and left for dead when she was just a teenager—by her high school boyfriend – she’s determined to understand how someone she trusted so much could turn on her. So she’s established a revolutionary new medical health center in the remote town of Hilltop, Alaska, where she studies the worst of the worst. But not everyone in Hilltop is excited to have Hanover House and its many serial killers in the area. Some secrets never stay buried for long… Devastated by the death of her husband, Annie Philips is shocked to discover she is pregnant with his unborn child. Hoping for a fresh start, she travels to a remote stone cottage in Anglesey, amidst the white-capped mountains of North Wales. On the East Anglian seacoast, a small theological college hangs precariously on an eroding shoreline and an equally precarious future. 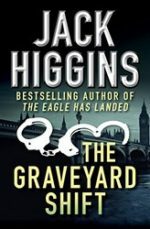 When the body of a student is found buried in the sand, the boy’s influential father demands that Scotland Yard investigate. 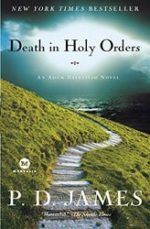 Enter Adam Dalgliesh, a detective who loves poetry, a man who has known loss and discovery. 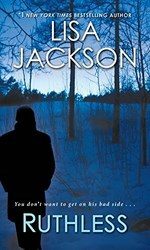 The son of a parson, and having spent many happy boyhood summers at the school, Dalgliesh is the perfect candidate to look for the truth in this remote, rarified community of the faithful–and the frightened.